A guest blog from Jim O’Brien, Vice President of Server Engineering for CounterPath. And what was born was a brand new capability we are offering to Bria Cloud Solutions customers, effectively bringing enterprise mobility to millions of FreePBX users worldwide. Behind the scenes, Schmoozecom and CounterPath have worked together to make our products and services very complimentary. 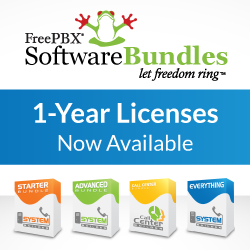 By making it simple for managers of FreePBX systems to connect their systems to Bria Cloud Services, they can provision users into FreePBX and for these users to be auto-magically provisioned into Bria Cloud Services. Previous PostLatest News From FreePBX: FreePBX 12/OTTS Training, AstriCon, FreePBXhosting.co.uk, Mitel and Stable FreePBX 12 News!